Today I want to tell you about a very special service that I've been using to find a lot of winners recently and today you can try it for free for 21 days. The numbers in the headline are from an actual live service called Stat of the Day. As the name suggests, this is a one-a-day service with a strong statistical background. Since it started in November 2011, the service has registered 292 wins from 1031 bets (better than 28% winners), and has returned a profit for its readers of £2,505 to £10 level stakes. Those aren’t fictional figures either. 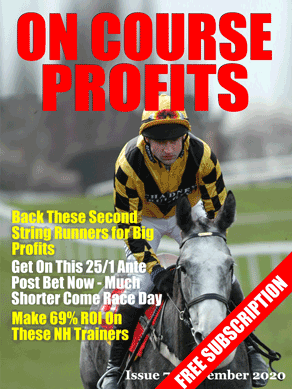 Rather, every single bet has been recorded and tracked on site… and followed and backed by over 650 loyal members. …And on the other we want to win a lot with very few losers. Big winners and a great Strike rates… Perfect! Unfortunately it doesn’t quite work like that. Big winners tend to mean lower strike rates. Take “Elision” a system we have been testing over at the Grey Horse Bot web site since 28/08/2014. It has an average winning price of 9.00 (pretty big). And since we started reviewing the system it has had a winning month of 51.39 and 40.32. Averages are funny things. They are made up of high and low figures. The high ones are great because they produce the big profit months like above. It’s the low ones that are a pain. They tend to be the ones where you need to dig deep. If you have done your homework and understand that longest losing runs do happen then you can ride them out. If you haven’t then this is where you find out that staking too much from your bank on each selection can really be expensive. Tipsters and systems have good runs, but they also have times when their natural strike rates adjust. Whether you call it a “bad run”, “bad luck” or “The system doesn’t work”. Yes it has had some good months but it also has bad months. …It’s all down to you and whether you believe the history or think the bad months are the signs of the system going bad. Losing runs will happen and the lower the strike rate the longer these will be and the more often they will happen. Be prepared and reap, ignore and you will be forever losing. We had a nice profit from the Football Forecasts free bets I published yesterday and those that joined the service doubled up their profit with the remaining bets. Today we are back to the racing with Nick Hardman. Nick gave us a huge week last time with King George and Welsh National winners and today he has selections for today and tomorrow's racing. Happy New Year to all Daily Punt subscribers and hopefully a few of you were on our Boxing Day selections for the King George and Welsh National. On to today and a couple of things I want to share with you. First up is the Henderson/ Geraghty combination at Sandown. Since 2010 they have teamed up for 25 winners from just 77 rides, producing a level stakes profit of £29.28 at a strike rate of 32%. 2014 in particular was a good time to back the pair as they managed 5 winners from 13 runners and a level stakes profit of £21.92 (38% strike rate). Nicky Henderson also has the following entries at the time of writing although it remains to be seen which horses take up their engagement and if they do, whether Barry Geraghty will be on board. Wreningham has not won for an eternity but has course figures 811332 and is 5lbs below his last winning mark. He could reward each-way backers and Joe Fanning is on board. Beautiful Stranger is trained by Keith Dalgleish a trainer with a superb record with his handicappers at the Midlands course. Poppy Bond has two wins and three seconds from 9 AW starts and drops back in trip here after travelling well on her last start. She finished a good second on her last try over track and trip in August 2013. Little Lord Nelson ran well on tapeta debut last month and is an interesting runner taking a big drop in trip for a trainer with a good record at Wolverhampton. Stable mate Tsarglas was a last time out winner and there may be more to come with Adam Kirby an eye-catching booking. As always, if you are having a bet on these selections then please wager sensibly as these systems are very much a work in progress.